Are you an aspiring romance writer? Would you like some feedback on your novel? 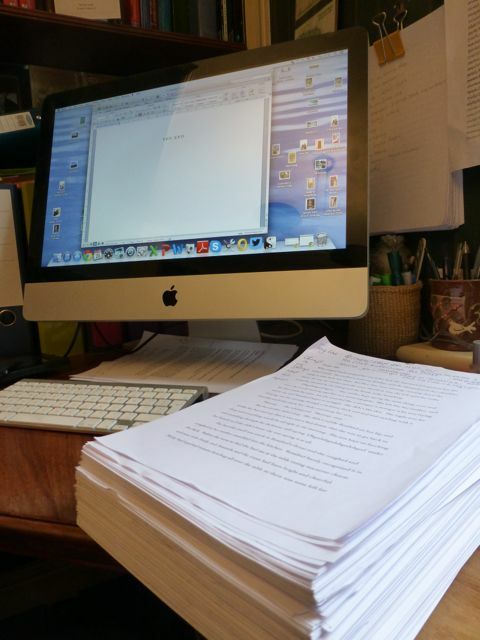 Writing a novel isn't easy (I know!) and the sense of achievement when you get to the end is tremendous. Give yourself a big pat on the back just for finishing! But now what? Putting it out there for others to read and comment on can feel very exposing. Whether you're planning to submit to a publisher or self-publish, you need someone else to look at your work with an unbiased eye so that you're sure your novel is as good as it possibly can be before you take the next step. The trouble is that you're too close to your story to be able to judge what works - and what doesn't. You may think that you've finished, but chances are that what you really have is a draft, and this is where a critique by an experienced author can help you plug the holes in your plot, tighten the tension, make your characters come to life and - most importantly of all - ensure that your story has that vital emotional conflict at its heart. Where can you find an experienced author? Right here! I will read your manuscript and give you detailed comments and practical advice on how to improve your story and get it ready for submission or publication. I started writing romance as Jessica Hart over 20 years ago, and have since written 60 books for Harlequin Mills & Boon. A multiple finalist and winner of both a RITA® and the Romantic Novelists’ Association’s prize for short romance, I’m also an experienced writing tutor. I’ve been writing romance for most of my career, but I now also write ‘time slip’ novels that are part historical novel, part ghost story, part psychological thriller under my own name (Pamela Hartshorne) for Pan Macmillan, so can offer constructive advice across a range of genres. I’ve taught evening courses at the University of York, and residential courses at the Watermill at Posara in Italy, as well as running workshops at conferences in the US, UK and Australia. I was mentor to RITA-winner Leah Ashton, winner of Mills & Boon’s first New Voices competition, and to Heidi Hormel, who has just sold to Harlequin American. Jessica Gilmore, now also writing for Harlequin Mills & Boon, was a student on my Slush Pile to the Shelves course, and I have been mentor to Sarah Maine, whose first novel, Bhalla Strand, is published by Freight Books and has been very well received. Being a reader for the RNA’s wonderful New Writers’ Scheme for several years forced me to think about how and why stories work. Too many decently written stories fail because they don’t have the right structure. I don’t think I can teach you how to put words together, but I can give you advice about how to structure your story and develop your characters to ensure that it has the maximum emotional impact. If I think your manuscript is ready for submission, I can give you some advice about that too, and there's a discounted rate for second reads of a manuscript and/or mentoring sessions by phone or in person. International payments accepted by PayPal or by direct bank transfer. ‘'I began working with Pam after I had written three rejected partials and one full manuscript – I thought I was pretty much there; it was a shock to see just how much I still had to learn! Pam was brilliant at explaining story structure, conflict and characterisation in fun, easy to understand and relevant ways, ensuring I had all the tools I needed to turn my ideas into workable, writeable plots. Under her tutelage I started a new manuscript in a new genre and this eventually became my first published novel, The Return of Mrs Jones. I am so grateful to Pam for her patience and unselfishness in sharing all the knowledge and wisdom gained from over twenty years of published success. I hope I would have reached my goal of publication anyway but I certainly wouldn’t have done it as quickly, nor with my chosen publishers, without her help and inspiration."